What do i do if my payment has been declined (paypal error 15005)? What is PriceBustersGames.com's return policy? What payment methods does PriceBustersGames.com accepted? 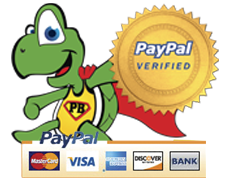 We process all credit card transactions through PayPal. If you reveive an email stating payment decline error: 15005, means the transaction was declined by the issuing bank, not PayPal. Errors that can cause this can be invalid information entered at checkout. examples : shipping address 1234 S Main St. should have been 1234 South Main Street. You can check the address on your statement and see how they have it listed. If your card still does not work, you can try another credit card or call customer support at 850-780-6369. Every purchase is 100% satisfaction guaranteed. At PriceBustersgames.com, we are committed to your satisfaction. If any item is damaged in shipping, defective from the manufacturer or incorrectly shipped, please return it within 30 days of receipt for full refund or replacement. Visit our Quality Guarantee page for more information. No. At this time PriceBustersgames.com only ships only ships to USA. Use steps below to calculate your shipping cost. Step 1: After adding items to your shopping cart. Go to checkout. Step 3: Enter state and zip code into field and click update. Step 4: Decide what shipping option is best for you. Remember, if your order is over $40 of used DVD's and video games use discount code "FREESHIP" at checkout to receive free shipping. Contact PriceBustersGames.com customer Service at : 850-780-6369 11am - 8pm Mon-Sat, 12-6 Sunday CST. You can also email customer service at pbgames@pricebustersgames.com 24 7.